SIT Study Abroad (School for International Training) offers more than 70 programs in Africa, Asia and the Pacific, Europe, Latin America, and the Middle East. 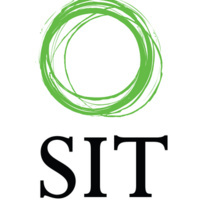 SIT focuses on providing immersive, field-based study abroad programs that are experiential in nature. Undergraduates will partake in a capstone project at the end of the semester that allows them to conduct research or an internship, depending on the program. As a UO approved provider, you can still use most forms of financial aid and apply for additional scholarships! Discover if an SIT program is right for you! UO Students need to apply through the GEO Study Abroad office prior to completing the SIT application, in order to be eligible for financial aid, travel insurance, and credit transfer support.